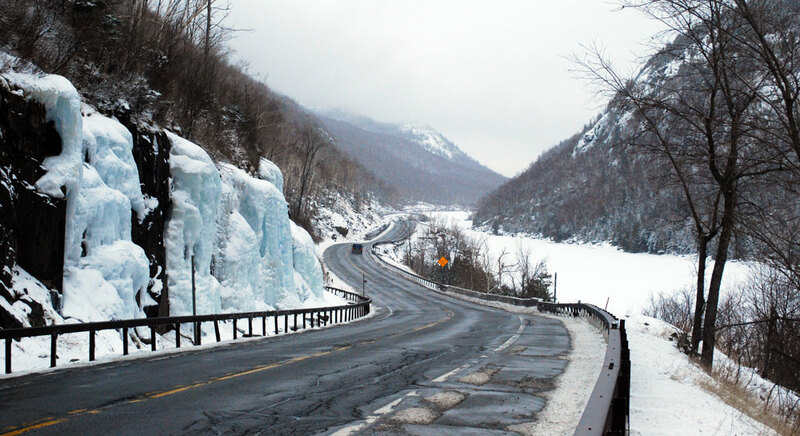 SARANAC LAKE — New York salts its roads more than any other state — not only in higher amounts, but also at the highest rate. 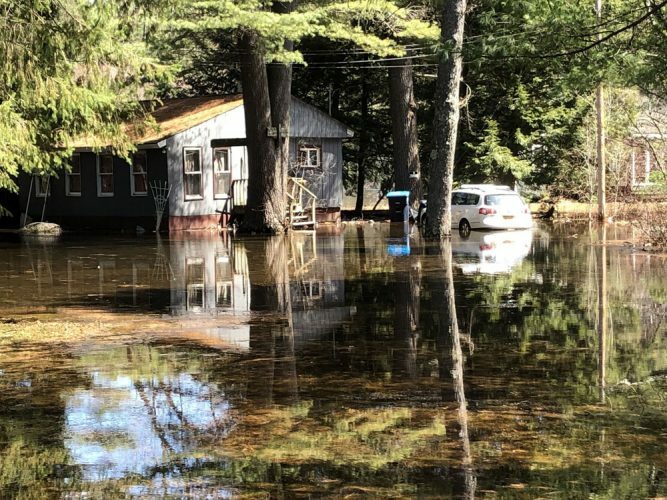 This has resulted in salinization of this region’s lakes, streams and groundwater downslope from roadways, according to research by Dan Kelting, executive director of the Adirondack Watershed Institute and a professor at Paul Smith’s College. Nearly 7 million tons of salt have been dropped on Adirondack roads since 1980, he says. He put these into three categories: the potential environmental costs, property and infrastructure costs, and hazards to human health. But not all roads are salted equally. 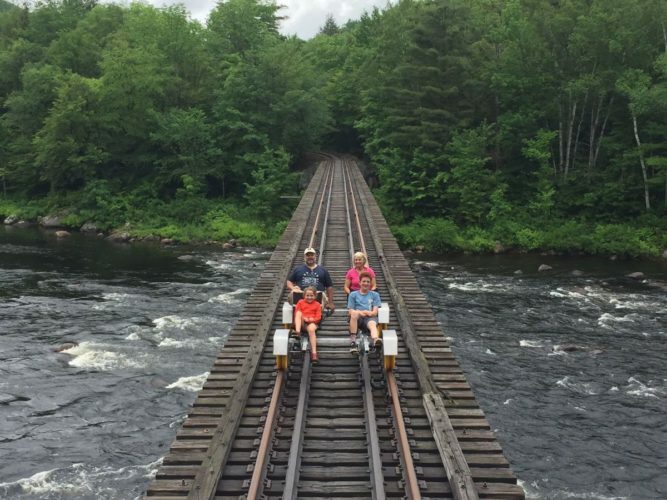 Kelting and the institute in its research broke the 10,555 lane miles in the Adirondacks into the 2,830 state Department of Transportation-maintained miles, and the 7,725 locally maintained miles. On an annual basis this entire network receives just under 192,700 tons of road salt, Kelting said. This can be split into about 80,000 tons on municipal and county roads and more than 110,000 tons on state roads. State roads have the highest speed limits and handle the most traffic. The state uses 2.5 times more salt than municipalities to try and keep these roads clean, despite managing a quarter of the total lane miles, Kelting said. Local roads are salted according to a municipality’s own preference, Kelting said — often they are just plowed and sanded. Though this sand does contain 3 to 8 percent salt, it contributes less to runoff and regional salinization. The Adirondacks have low chloride concentration, Kelting said — this means little chloride is released from rocks when they weather. The highest chloride concentration Kelting said the institute found in a lake was around 50 parts per million. Some of the streams they sampled were double and triple that. He said the reason for the difference is that lakes have many different sources — benefiting from dilution by tributaries that don’t have salted roads near them. 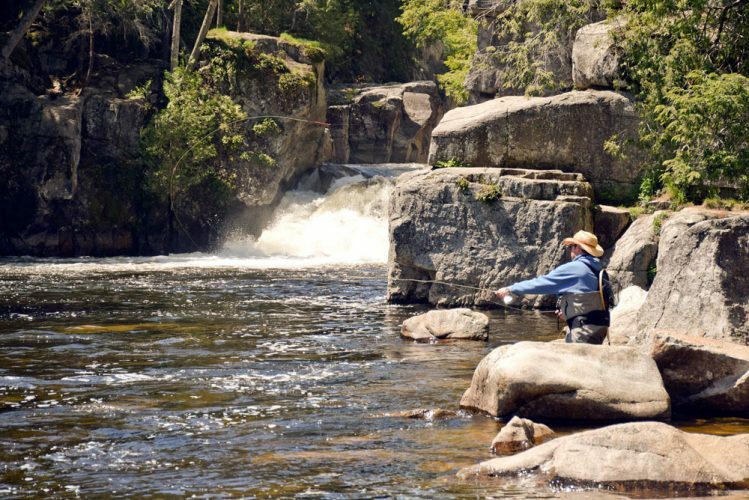 More than half of the total length of streams in the Adirondacks have been affected, he said. What about groundwater? In 2012, Kelting, the institute and partner organizations ran a survey seeking 500 well owners in the Adirondacks. In the end, they got 489, mailing them test kits to return with water samples from their wells. The state of New York provides “guidance” values for the amount of sodium and chlorine that should be in well water, but regulations for municipal water. Water above 20 ppm for sodium is a potential health risk for people with heart disease or any other health condition that requires a low-sodium diet, Kelting said. For chloride, the state provides a guidance value of 250 ppm. From the test kits Kelting got back, he found that among well systems that were not downslope of state or local roads, none exceeded the guidance values for chloride and sodium. For wells downslope of local roads, 20 percent exceeded the guidance values for sodium, and 3 percent exceeded the chloride guidance value. For wells downslope of state roads, 64 percent exceeded the guidance values for sodium, and 29 percent exceeded the chloride guidance value. However, in small hamlets like Gabriels that have high-traffic state roads running through, the values he got back were higher. In Gabriels, 87 percent of wells tested downslope of state roads exceeded the guidance values for sodium. 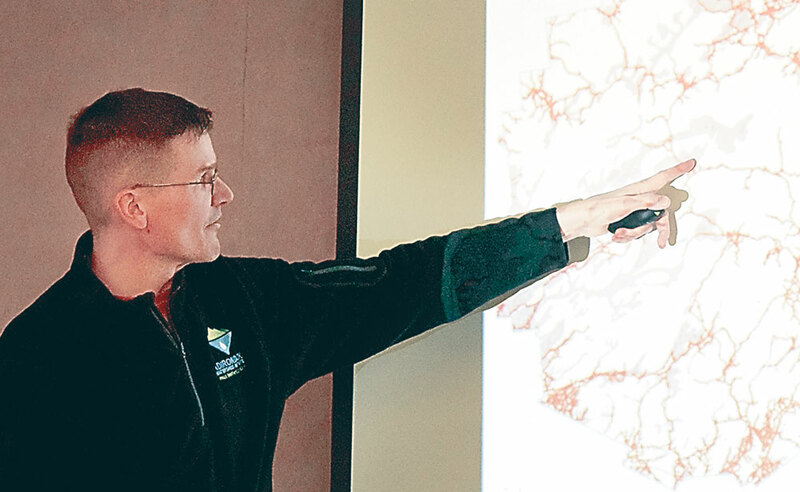 “We see this same phenomenon in Lake Clear, in Indian Lake, in Keene Valley, where we see these hamlets with the state road networks in them and lots of and lots of wells with high sodium and chloride concentrations,” Kelting said. So what’s to be done? Kelting suggested that maybe we don’t need to drive so fast immediately following a weather event. Maintaining roads for a 55 mph speed during or right after a snowstorm has heavy consequences for the environment and our drinking water. 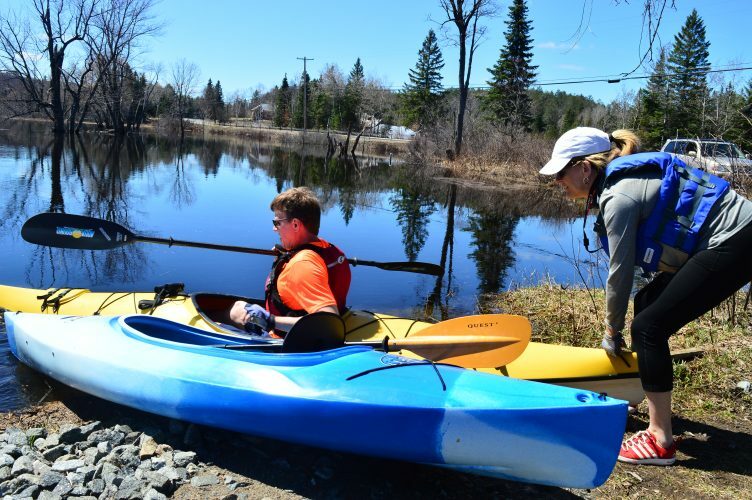 Another option would be to create more municipal water districts, like Saranac Lake’s, to stop Adirondack residents from drinking potentially salinized water. Municipalities and the DOT could also put salt on the roads more effectively, and therefore use less, by dropping it at slower speeds or using liquid brine solutions. If you want to get involved with Kelting’s research and are a well owner, contact him at dkelting@paulsmiths.edu to have your water tested.